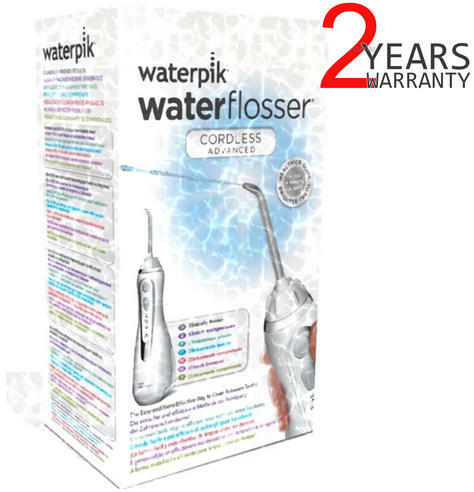 The Waterpik Cordless Advanced Water Flosser is the most advanced cordless Water Flosser. This rechargeable unit with NiMH battery has a 4-hour rapid magnetic charging system and portable design that is perfect for travel. With an electronic pressure control system and 3 pressure settings, the Cordless Advanced allows you to personalize your water pressure with low, medium and high options. Plus it is waterproof and can be used in the shower. You can also add your favourite mouthwash. The water reservoir holds 207 ml for 45 seconds of flossing time.2-Year Warranty. The Waterpik Water Flosser helps provide healthier gums, brighter teeth, and fresher breath. Healthier gums and cleaner teeth can help prevent tooth decay and future dental work. 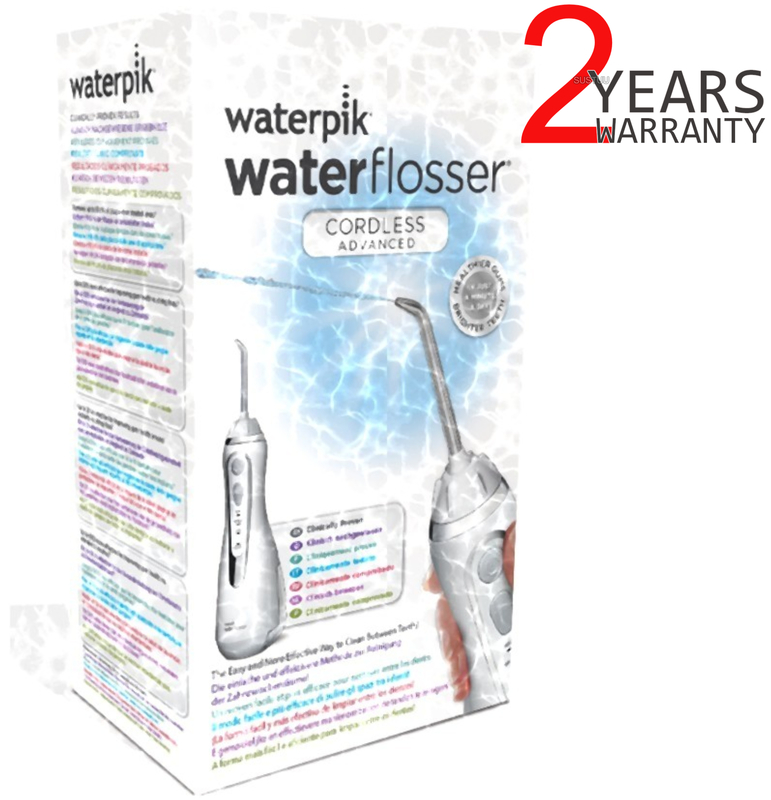 The Waterpik Water Flosser is perfect for anyone with braces, dental implants, crowns, bridges or periodontal pockets. The Waterpik Water Flosser removes up to 99% of plaque from treated areas and is up to 56% more effective for improving gum health vs. inter dental brushes. Globalvoltage compatible with 2-prong UK shaver socket plug.